Toshack the new record signing - LFChistory - Stats galore for Liverpool FC! Here is Liverpool’s latest and most expensive recruit. 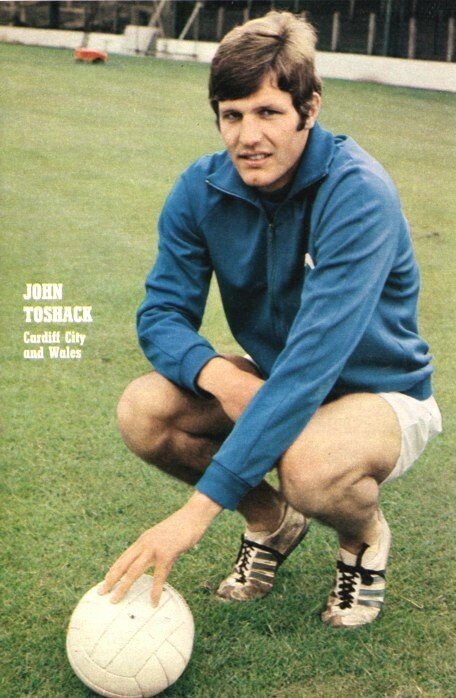 John Toshack, the 21-year-old ton-up boy. For this six-footer, signed from Cardiff for a club record fee of £110,000, notched his 100th goal with the Welsh club. In four seasons of League football with Cardiff, Toshack hit a century of goals, and became one of the most widely-traveled footballers on the European circuit. For with Cardiff, Toshack has played in the European Cup-winners cup – and travelled as far as Tashkent – since he was 18. This season, he helped Cardiff reach the quarter-finals of the Cup Winners cup... then his transfer to Liverpool enabled him to go into the European Fairs Cup, ready for the clash against Hibs. Toshack, married with a baby son, had the chance to become a big-money player when Fulham offered around £70,000 for him, at the age of 18. Toshack turned down that move then. He felt and said that he hadn’t enough top-class experience, and he would rather stay and gain this with Cardiff, his home-town club, under the manager who signed him straight from school, Jimmy Scoular. But Liverpool came along, and there was hesitation this time. Toshack said “Yes” and joined Bill Shankly’s Anfield brigade. Now Liverpool hope he’ll hammer home the goals for them as regularly as he did for Cardiff City.